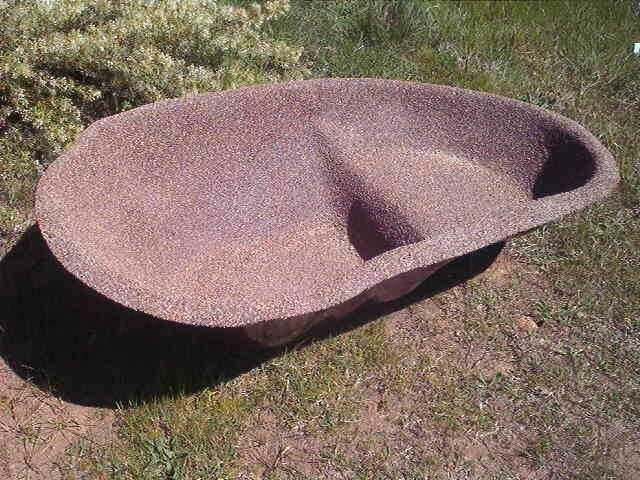 Quality Australian made Fibreglass Ponds. Suitable for fish, fountains etc, for above or below ground installation. FP03, Eildon Fibreglass pond, 1550long x 900wide x 400deep. The Eildon pond holds approx 240ltrs of water. Quality Australian made Fibreglass Ponds. Suitable for fish, fountains etc, for above or below ground installation. The Eildon Pond is available in Black, Cream or Pebble finish FP03, Eildon Fibreglass pond, 1550long x 900wide x 400deep. The Eildon pond holds approx 240ltrs of water.